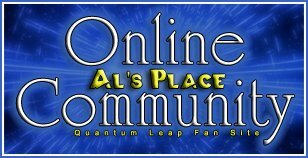 OPEN CALL FOR FEEDBACK ON THE AMAZING TV SERIES QUANTUM LEAP!! We can't wait to hear from all of the dedicated fans. This is an open love letter to one of the greatest, recent classic shows in our lifetimes. Last edited by feldon30; 03-05-2013 at 05:11 PM.